At the Crown Inn we pride ourselves on using locally sourced produce. We have relationships with many local suppliers who provide us with high quality and fresh products, which we then use to provide our customers with the best dining experience we can. Our high expectations for quality and taste are met by the following suppliers, as well as many others. We are always on the lookout for new ideas. 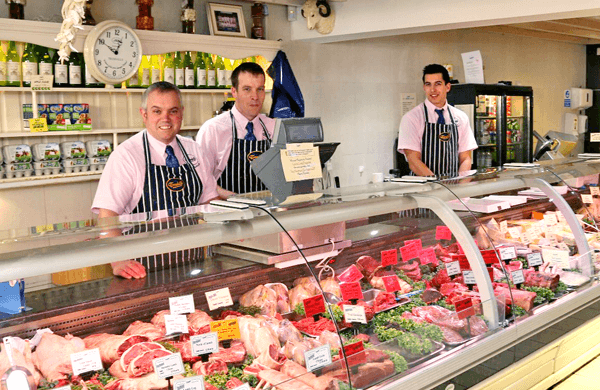 Trendalls is a family butchers and delicatessen based in Oundle, just 6 miles from The Crown Inn. An independent traditional butchers and delicatessen specialising in locally sourced, free range, meats and game. Our fishmonger, Ian, from Grimsby Fish, visits us regularly with fresh fish straight from the fishing vessels. 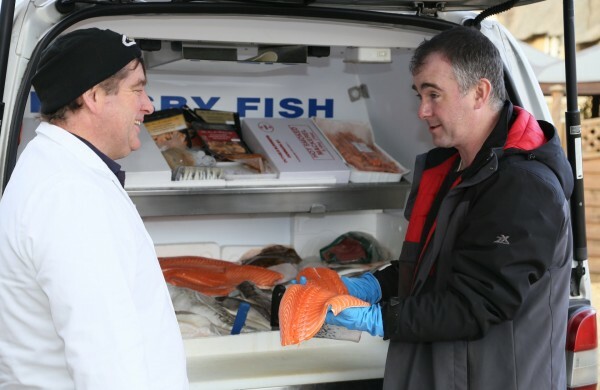 Ian drives straight from Grimsby Fish Market, where he picks the best fish of the day for our customers. The Stamford Cheese Cellar offers a wide range of Artisan cheeses, combined with its deli, selling chutneys, jams, crackers and pâtés, and a unique selection of spirits including gin and rare whiskeys. 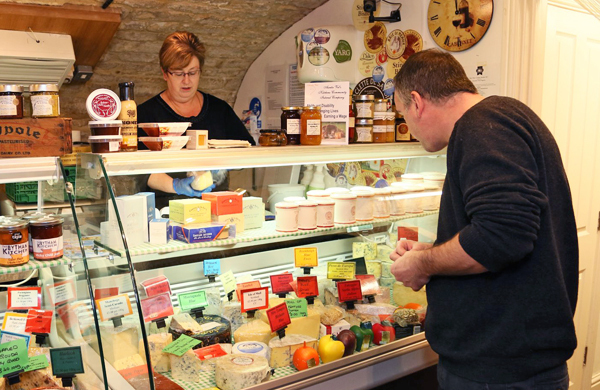 Stamford Cheese Cellar, based in Stamford, Peterborough, is a firm believer in local produce and is just 10 miles from The Crown Inn. 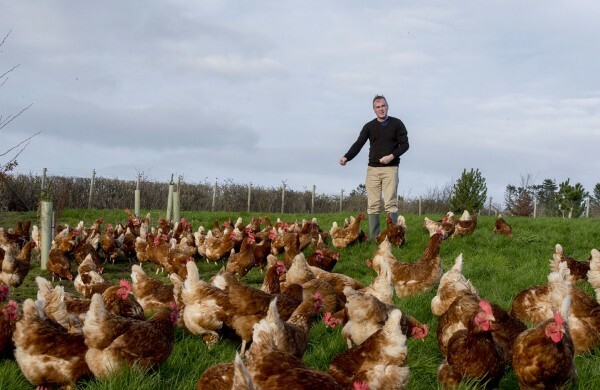 A family run business based just 10 miles from the Crown Inn, which has been supplying free range eggs to local businesses since 1990. Pig and Scarf, an environmental smallholding rearing Tamworth pigs, free range chickens and other seasonal fowl, was established 18 months ago in the nearby village of Tansor just four miles from the Crown Inn. 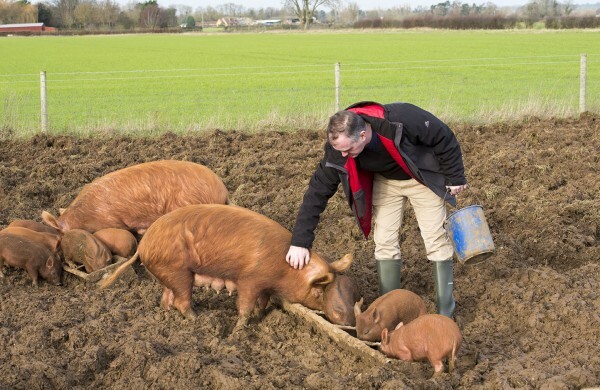 The company has a breeding herd of rare breed, outdoor bred, pedigree Tamworth pigs, which are fed a GM free, cereal based diet with strict control on protein, supplemented with fruit, vegetables and tummy tickles. As well as pigs the company has Label Rouge certified, free range Ross chickens; ex-battery chickens now living and enjoying the free range life supplying fresh eggs. This is complimented by other seasonal fowl. Pig and Scarf focus on making the smallholding as environmental as possible; all pig arks and chicken houses are made from recycled materials using pallets helping to reduce their carbon footprint. 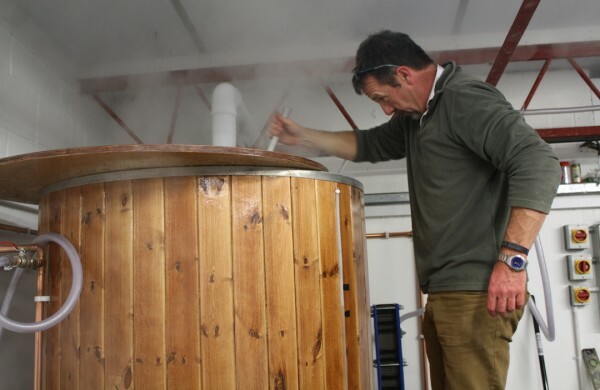 King’s Cliffe Brewery, known as KCB, is a five barrel microbrewery producing 1,400 delicious pints with every brew. After casking, the beer is naturally conditioned for at least two weeks. Only then is the beer allowed to leave the brewery and be enjoyed. The brewery currently brews three permanent beers (5c, No.10 and 66°) and the occasional seasonal beers, all of which are available in bottles, mini-casks, pins and firkins. Based just six miles from The Crown Inn, in the village of Kings Cliffe, this is the brewery where we brew our very own Crown Inn Bitter.